A Shorten Labor government would force Australian mining companies working overseas to disclose the taxes they are paying to foreign governments to extract their minerals. The mandatory reporting regime would apply to large Australian oil, gas and mining companies, and be designed to ensure that communities in countries such as Papua New Guinea understand how many tax and royalty payments they are receiving and for which mining projects. 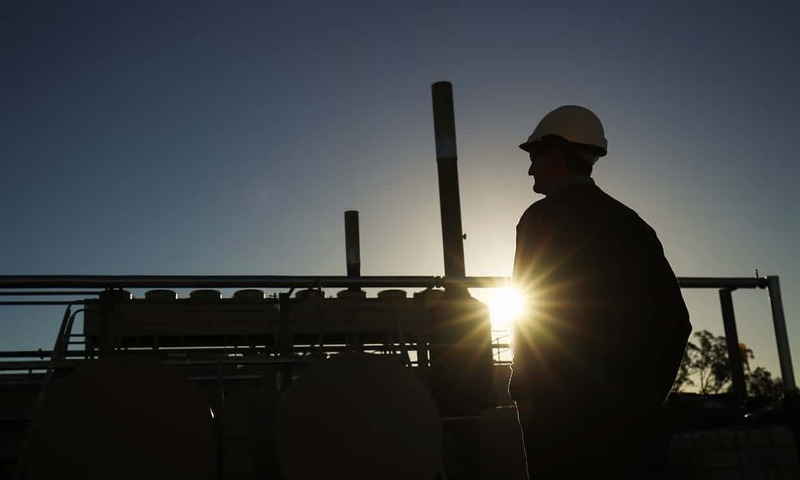 Labor says it wants Australia’s resource companies to be “good corporate citizens” and to maintain transparent accounting practices that combat corruption. It says many of Australia’s neighbours, including Timor-Leste, Papua New Guinea, the Solomon Islands and Nauru, have multibillion-dollar resource projects that are operated by foreign multinationals but are home to some of the poorest people in the world. Labor will announce on Tuesday an “extractive industries transparency plan” that will require large Australian companies to disclose the taxes they are paying to governments in every country, including Australia, and for every mining project. A single or series of taxes and related payments within a financial year would have to be disclosed if the payments were worth at least $150,000. Payments to be disclosed include: taxes on income, production or profits; royalties; dividends (except where the dividend is paid to a government as an ordinary shareholder); fees including licence fees, rental and entry fees; signature, discovery and production bonuses; production entitlements (such as profit resources) and payments for infrastructure improvements. The scheme has been costed by the parliamentary budget office at $2.2m over four years. Between 80 and 100 companies would be affected. Subjected companies would be required to begin reporting payments to governments from 1 July 2020. A multi-stakeholder committee would be established to help the government implement the reporting regime, including defining project-level reporting and establishing an online reporting mechanism to ensure public transparency. Labor says the legislation would include equivalency provisions so companies captured by other jurisdictions due to cross listing on stock exchanges would only be required to produce one report. The scheme has been modelled on the extractive reporting regime in the UK. Matt Thistlethwaite, the shadow assistant minister for Treasury, will announce the plan on Tuesday in a speech to the Australian Council for International Development’s national conference in Melbourne. Mal Larsen, Oxfam Australia’s mining and extractives policy adviser, has welcomed the policy, saying he has been calling for something like this for a long time. “This policy could help lift people out of poverty,” Larsen told Guardian Australia. “Australia would join the growing list of countries around the world that require large companies to reveal how much tax is being paid, in which country and for which mine. “This sort of disclosure will allow the public to hold companies accountable for how much tax they pay and governments for how they spend it. In May 2016 the Turnbull government announced Australia planned to join the Extractive Industries Transparency Initiative, an international standard for increased transparency and accountability in the oil, gas and mining sectors. It will require Australia to disclose information on taxes and other payments made by companies to the Australian government as well as other information such as licences, contracts, production and exports. Larsen says Labor’s policy goes further because it would require Australian companies to disclose the payments they are making to foreign governments, not just to Australia’s government. 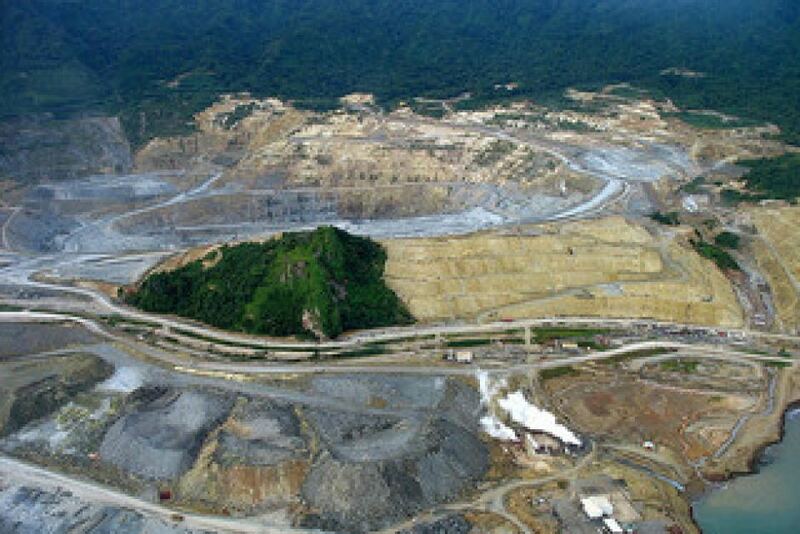 The chairman of the Special Mining Lease Osikaiyang Landowner Association has expressed annoyance by the recent Shareholder Release by Bougainville Copper Limited. Phillip Miriori says BCL is profoundly misleading and shows complete disrespect for the facts, the SMLOLA and the views of many of its members who are standing up for their rights and say, “No to BCL Forever”. He said the SMLOLA petition against the return of BCL now represents around 2,000 members and continues to increase. “BCL’s ex Rio management has refused to meet with the Board of the SMLOLA or its chairman,” claims Miriori. “That does not qualify as ‘respectful community engagement programs’. Miriori gave a number of reasons why BCL was not welcome on Bougainville. “It is just another clear example of the continuing colonial arrogance of BCL and the disrespectful treatment of landowners, with the constant attempt by BCL to mislead and misinform. “They have not changed,” said Miriori. 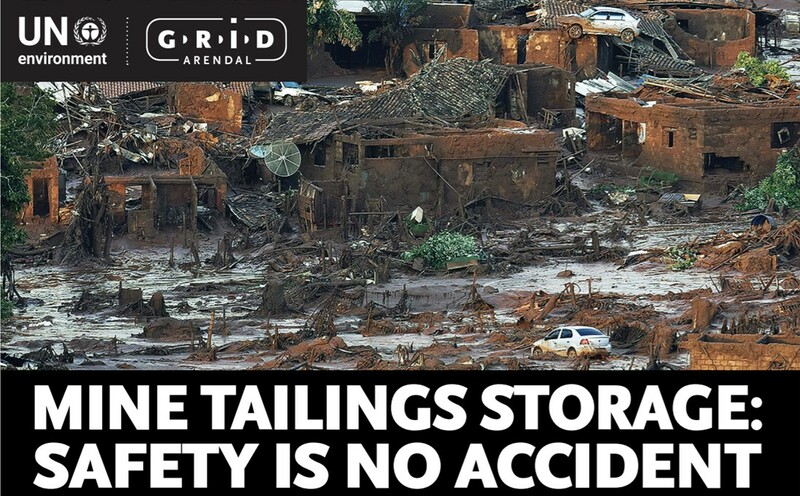 BCL was the mining permit holder all those years ago, and it was under their operation that we were left with this horrific environmental damage which President Momis himself has suggested caused billions of dollars of destruction. To this day, BCL has not taken responsibility for or compensated us in any manner – not one kina. On Monday, Bougainville Copper Limited announced the appointments of Mel Togolo and Peter Graham to BCL’s board of directors. BCL chairman Robert Burns said the company was delighted that both gentlemen had agreed to join the board given the extensive experience and unique perspectives each would bring during an important period of development for the company. “Mel and Peter are highly regarded in PNG and have intimate knowledge of the resources industry both here and abroad which they have gained through what can only be described as long and distinguished careers,” Burns said. 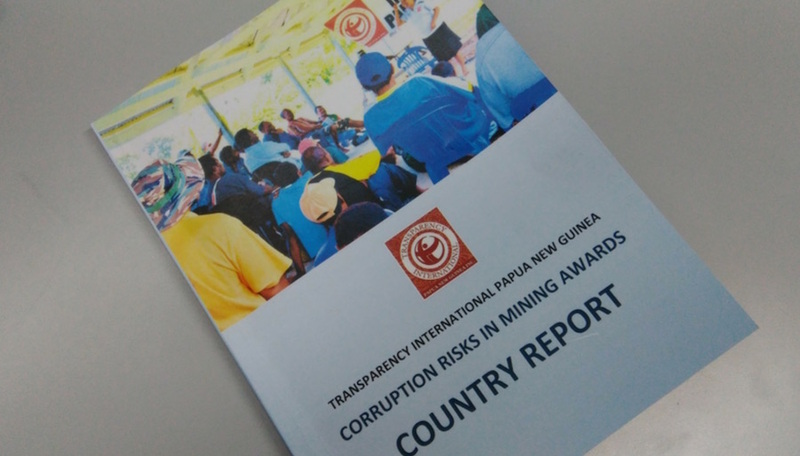 A Transparency International PNG Country Report has revealed high corruption risks in several areas of the Mining Licences Process. The report, which was launched today, has highlighted key areas that need to be addressed urgently to minimise the risk of corruption. The report comes from TIPNG’s participation in a global research initiative called the Mining for Sustainable Development (M4SD) program. TIPNG says the need to identify risks in the mining licence process is because the awards process is the start of the mining value chain and any effects of corruption there will be passed along, eventually impacting the country’s sustainable development. TIPNG Chairman, Lawrence Stephens, said regulatory systems should be improved so that the wealth generated from the mining sector should be used for the welfare of Papua New Guinea. “Through reports like this that we can start to make a difference, start to assist people whose job it is to try to make sure all the people of this country benefit,” he said. The high risk areas highlighted in the report include cross-institutional capacity; human resources of regulatory agencies; coherence of feasibility studies and MOAs, lack of a national geospatial agency; consultation, representative bodies and associated business entities; lack of CSR reporting requirements; and risks concerning women, vulnerable persons and marginalised groups. Present at the launch was Mineral Resources Authority Managing Director, Phillip Samar, who said some of the issues highlighted are not new to them but are ongoing. However, he said the MRA will continue to have dialogue and work with TIPNG to address the issues raised. CIVIL society groups in Vanuatu have called for a ban on seabed mining activities in its waters. 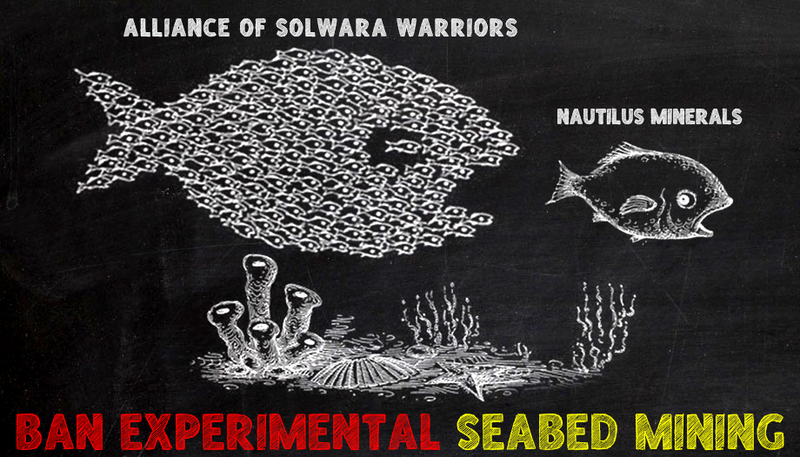 They held a consultation on experimental seabed mining at Port Vila last week. The civil society groups included the Vanuatu Cultural Centre, National Council of Women, Malvatumauri National Council of Chiefs, Vanuatu Council of Churches, Vanuatu Association of Non-Governmental Organisations and Vanuatu National Council of Youth. They passed a resolution last Thursday challenging the national government to impose a ban on seabed mining activities in Vanuatu waters. The resolution was supported by the Media Association of Vanuatu, Vanuatu Environment Advocacy Network, Vanuatu Indigenous Land Defence Desk, Presbyterian Church of Vanuatu, Vanuatu Environmental Science Society, Vanuatu Provincial Tourism Council and Youth Challenge Vanuatu. The resolution comes after revelation that over 145 seabed mining exploration licences were issued between 2009 and 2013 without proper procedural permission and consultation within the government of Vanuatu, let alone, the people. A national consultation in 2014 later called for a wider consultation in Vanuatu, and non-renewal or new issue of seabed mining exploration licenses. 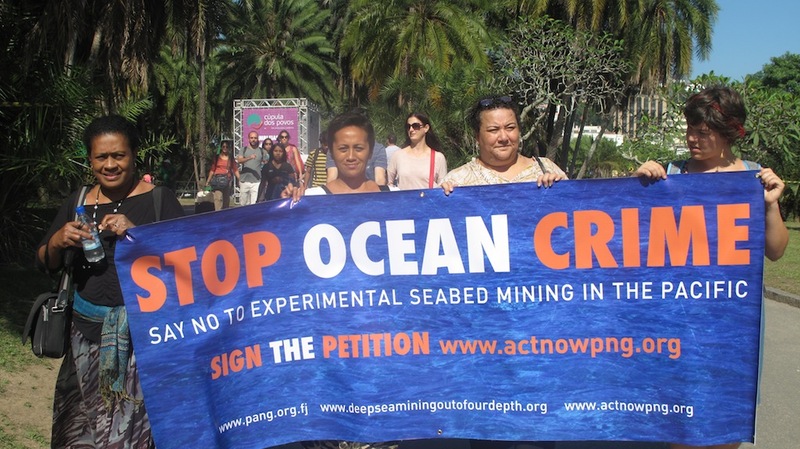 The coalition of CSOs through its resolution now challenges the Vanuatu government to impose a definite ban on all seabed mining activities in the country’s waters. “We Ni-Vans, similar to other Melanesian and Pacific Islands nations have strong connection to our ocean. 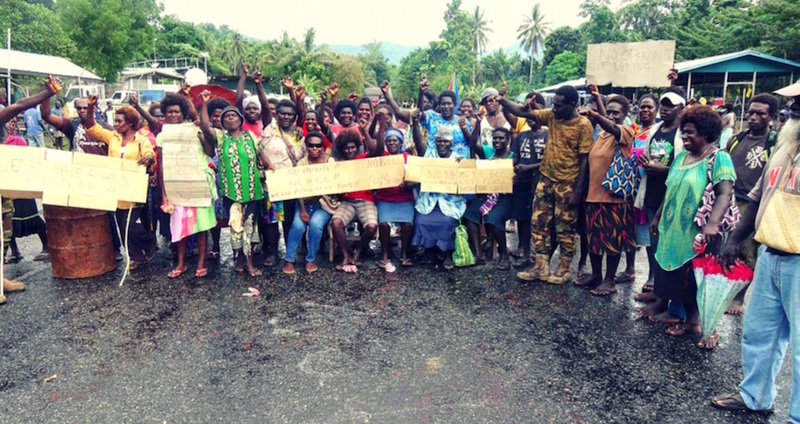 Rushing ahead with such an experimental project may destroy our ocean, which means destroying our home and our source of life,” Wendy Garai, vice-president of the Vanuatu National Council of Women, said. Garai said it was important Vanuatu took a precautionary approach and impose a ban that will safeguard “our fishing industry, our local coastal communities who depend heavily on the ocean, our tourism sector and Vanuatu as a whole”. Wanpla laen em oli no laikim ol wok mining aninit long solwara long Bismark sea long Papua New Guinea itok bai oli kisim gavman igo long kot bihaenim ol wari long despla mine. Nautilus Minerals blong Canada i laik statim mining long ol solwara namel long East New Britain na New Ireland province long 2019. Sopos despla mine igo hed, em bai kamap olsem nambawan mine em i kamap long wanpla kantri long wold, na planti pipal long PNG iet na ol narapla kantri i wari tru long wonem emi nap bringim bikpla heve tru long ol pipal blong despla tupla provins. Despla grup, Solwara warriors alliance i laikim gavman long givim ol documents em gavman na kampani igat long environment na ol wonem samting oli nap mekim long stretim heve emi nap kamap long solwara blong larim ol pipal i lukim. Peter Bosip Executive direkta blong centre for environmental law and community rights long Port Moresby itokim Radio Australia olsem, ol pipal blong PNG imas save gut long wonem ol kaen heve em despla mine bai kamapim na tu wonem kaen ol gutpla samting em despla mine inap bringim long PNG.